Caring about animals is really hard. While it’s easy to fall in love with animals, it’s very hard to watch them suffer abuse, neglect and exploitation in our society. Every single day, humans profit off the backs of innocent animals, and it’s a seriously disturbing reality to observe. Oftentimes, I’m ashamed to be part of this species. But we animal lovers have to snap out of it. These negative emotions only hurt us and hurt the animals we care about it. When we’re emotionally exhausted, we might feel pressure to numb ourselves and not care. We could easily catch a case of compassion fatigue. According to In Defense of Animals, between 40 and 45 percent of animal activists stop their animal activism because of these overwhelming feelings. Activists from the U.S. and Canada are encouraged to reach out to IDA’s hotline via phone at the toll free number: 1 (800) 705-0425 or by e-mail at helpline@idausa.org. Oh, it’s also a free resource! 1. 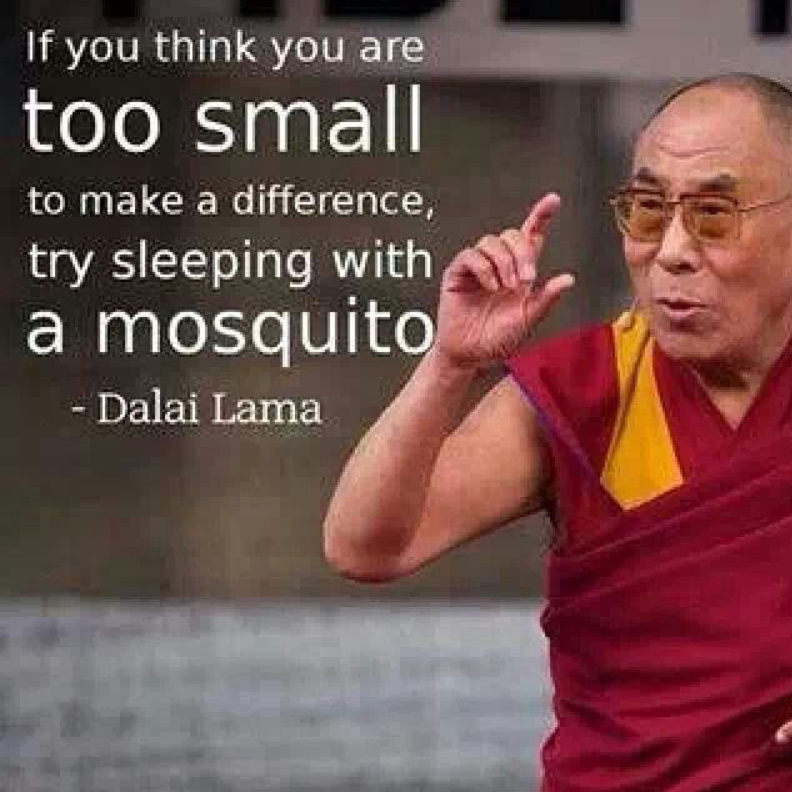 There’s no such thing as a small activist. Your voice and mission can and do make a difference. And when you feel small and alone, trust that there’s someone out there who believes and thinks like you. 2. 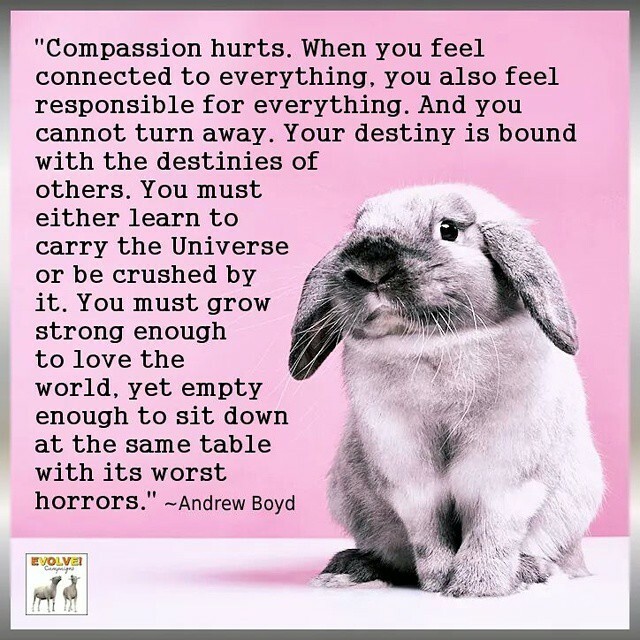 Compassion definitely hurts. But the belief that we’re all interconnected can literally save the planet. 3. 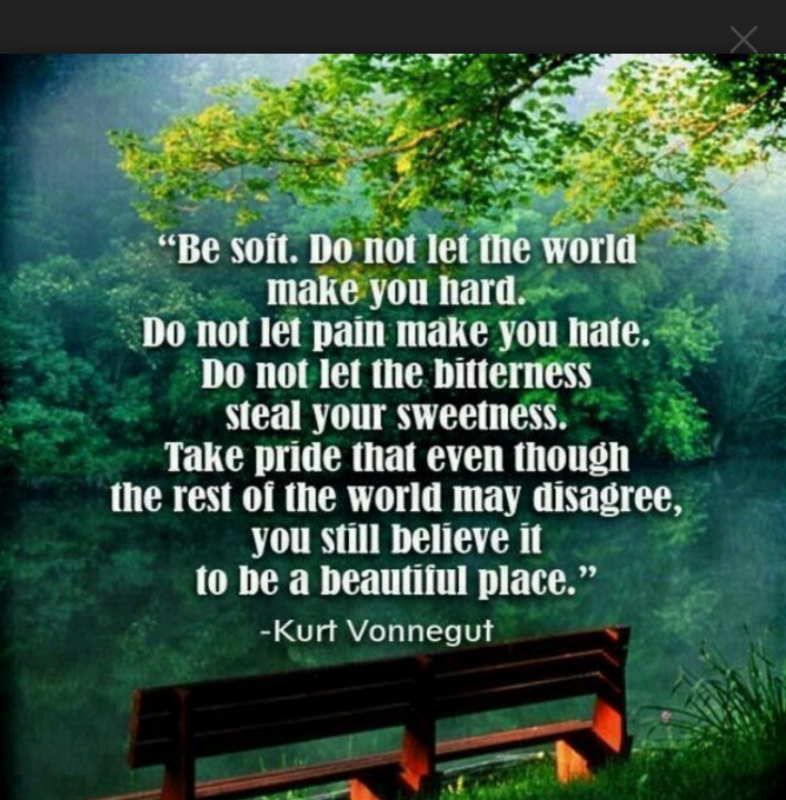 Stay soft in this cruel world. That means your humanity is still intact, and that’s a beautiful feeling — don’t waste it! This world desperately needs more healers. 4. It makes no sense. Why would anyone consciously condone cruelty to another sentient being? Why can’t society see what you see? But don’t give in or give up. You’ll gain your heart and purpose in helping other beings who can never repay you. 5. Trust that injustice can’t last forever. Our world is speciesist now, but that’s slowly changing. 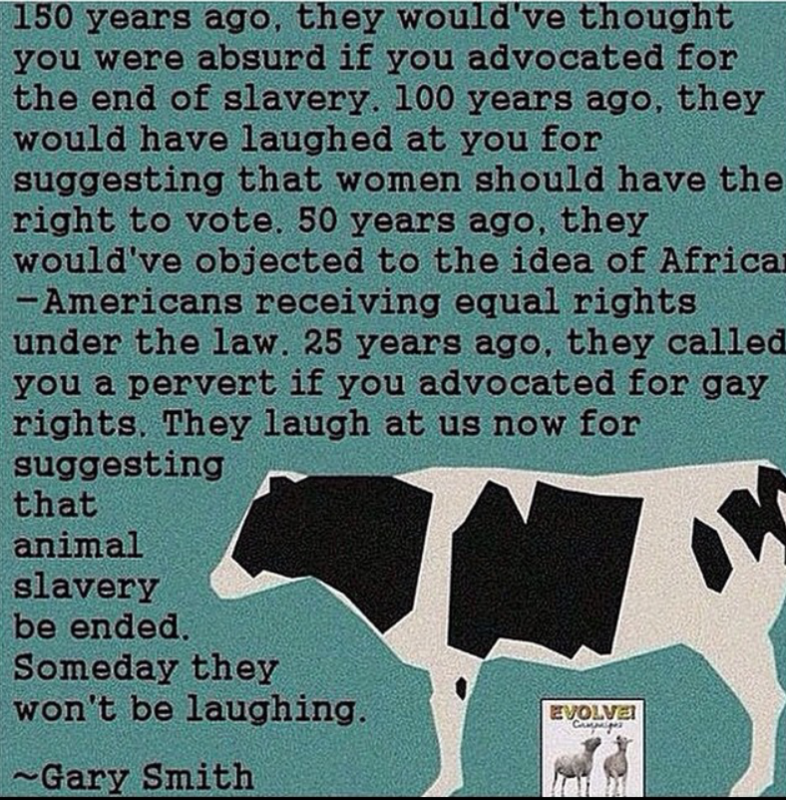 Animal rights is a legitimate social justice issue. And, I’m confident that one day we’ll look back and understand how wrong we were. Animal rights activists aren’t crazy — they’re just from the future. 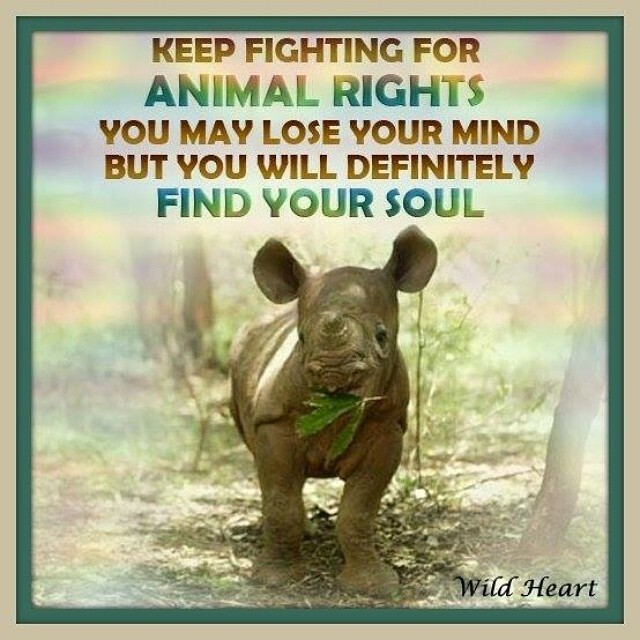 Because animal activists probably don’t hear this enough, I’d like to say: thank you for always fighting for the animals! You’re earth angels and heroes in my book.